Our goal is to go ABOVE and BEYOND for You. 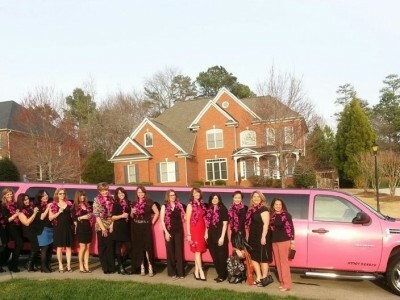 Only Pink Limousine in the Carolinas! 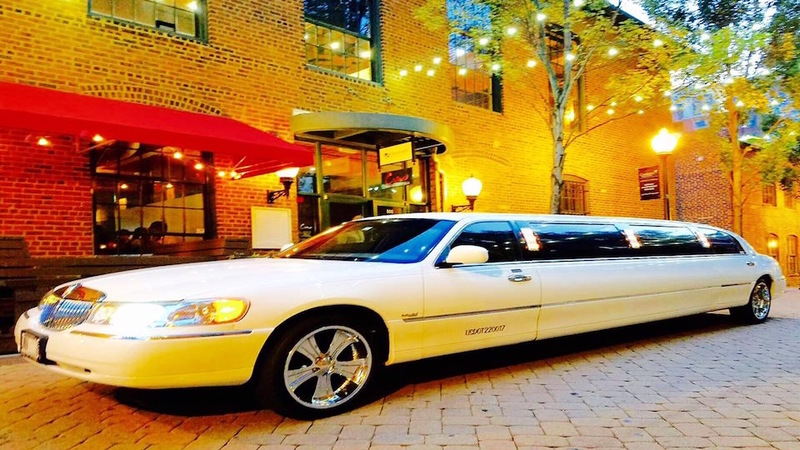 Johnny B’s Limousine Service specializes in NC Wine Tours, Corporate Events, Fundraisers, Limo Holiday Light Tours, Weddings, Limo Birthday Parties, and anything else you may need luxury transportation for. The way our company sets itself apart from others is that we have very strict prom procedures for our guests. We have a prom-promise that all parents need to sign stating that we do not allow alcohol for any of our guests. Our chauffeur will keep in contact with you via text and photos throughout the evening so you do not have to worry about the students and what they are doing/where they are. We do our best as a “momma-owned” company to put your worries at ease, as the guests are usually minors and they are your babies! We want them to have a great time, but within your guidelines, so we only take them where you tell us to- on the schedule that you would like. 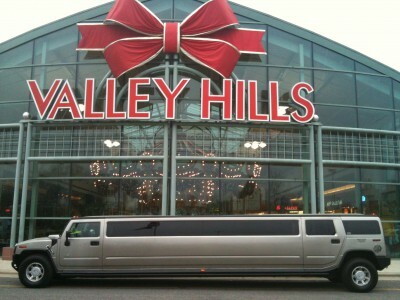 We have 10 years experience in the limo industry, and would be more than happy to help guide you through the process of reserving a prom limo- if you don’t do it every day, it can be confusing! 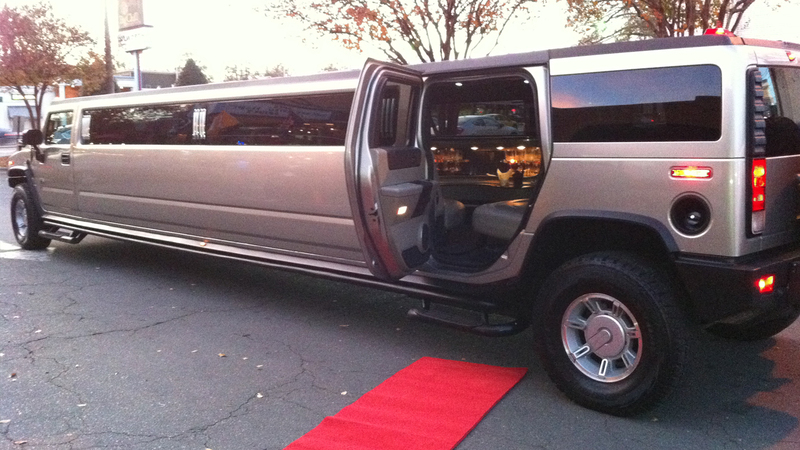 Our limo party bus has perimeter seating for all of your guests enjoyment. Awesome light display, boomin’ sound system, big coolers- the party is HERE! I can’t say enough good things about our experience with Johnny B’s. You have been professional and courteous to me for the past few months as we have been planning the wedding. 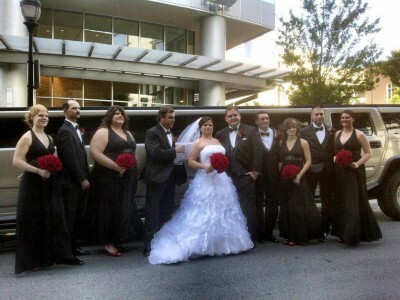 The limo was on time at the hotel on Saturday night and it looked beautiful. Everyone who rode in it commented on how clean it was. As for our driver Frank, wow! The compliments kept coming all night long. He took great care of our elderly family members and the young crowd loved him. The bridal party left the Bottle Factory to take pictures during the cocktail hour. They didn’t tell Frank they were leaving. They walked about 3 blocks with the photographer taking photos all over downtown Monroe. When they were ready to make the walk back for the reception Frank was there with the limo and cold waters waiting for them. They were shocked and grateful. We will be repeat customers for sure! Great Service should NEVER go unnoticed…especially in the world we live in now. I was planning a surprise engagement for my then girlfriend (now fiance) and had A LOT of moving parts. 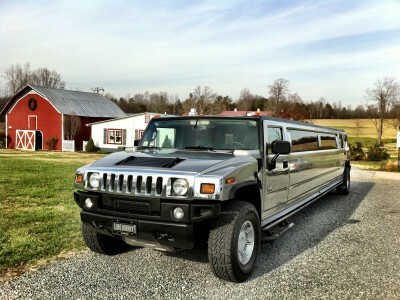 I had used Johnny B limo a few years ago for my birthday, so I decided to call him back, and boy am I glad I did. 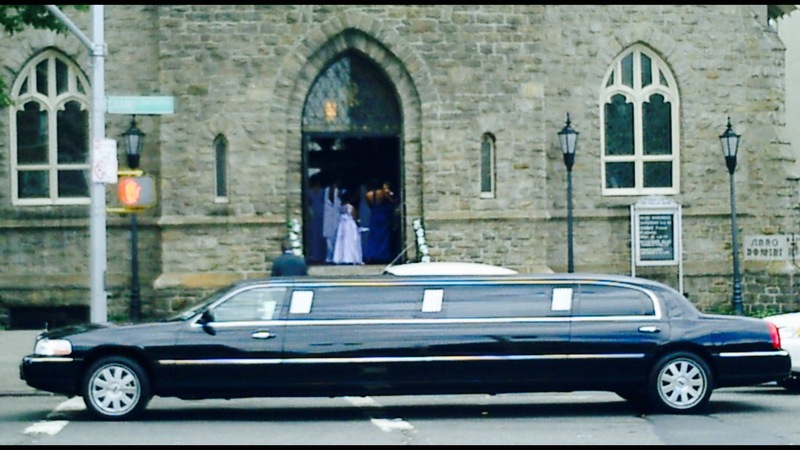 When he ran into an issue with his limo bus that I had initially rented, he called me right away explained what was going on…he then upgraded me for FREE into 2 limos, an Escalade and a Hummer-talk about customer service!!! Robert and David were the drivers, TOP NOTCH. 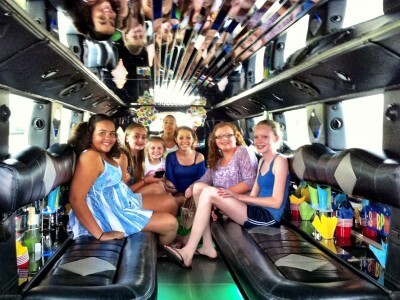 I had 1 limo go one direction to pick up friends and the other limo in another direction to pick up family. I had ~20 people involved in the engagement (like i said, a lot of moving parts). The limos were at every location they had to stop at to make this night happen, right when they needed to be when they needed to be there. Robert and David stayed in touch so that I could enjoy my time with family and set up the engagement. Robert drove my limo and kept me updated the whole time where the other limo was. After the BIG moment, we went to dinner in uptown- the limos dropped us off at the front door, and came back to the front door to pick us up, for those who haven’t taken 2 limos uptown AND getting 2 limos at the front door of restaurant on N Tryon-its a big task! David had a connection at the bar my fiance wanted to go to and was able to get us in free and passed any line that was outside. After we left that bar, we had people that needed to go home so we all condensed into 1 limo, but the night wasn’t close to over! We all got into Davids limo and kept changing plans on him, haha he was a trooper though and went right along with it, not a hitch! David took us to Charlotte motor speedway- THE NIGHT BEFORE THE ALL STAR RACE- and drove us as close to the track as he could!!!! which was awesome…we took my fiances family back to their hotel, and another friend home and then came back to my house at the end of the night. Service is in the details. I had given Robert my garage door opener so I didn’t have to keep up with keys the whole night. When he left after the bar, I had forgotten to grab that from him-he said “no problem, ill drop it off at your house so you can get back in”-WOW!!! Also, the next day I realized i had left my work cell phone in his limo as well- he said “no problem, ill drop it off as soon as im done with my next service.” I wasnt home so he left it in my mailbox- WOW again. David got ice for our limos before we got in them, we had an issue connecting phones to blue tooth in the Hummer limo, David said “no problem, he stopped at the closest spot and picked up an AUX cable. 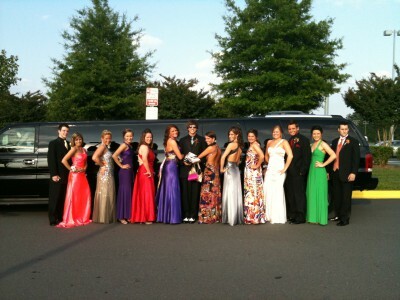 EVERY SINGLE PERSON THAT RODE IN THESE LIMOS CALLED ME THE NEXT DAY AND PRAISED THE LIMO DRIVERS AND THE VEHICLES THEMSELVES. This is just an overview of the service we got, I could write a book on this night and how special it was because of Johnny B Limo. I felt like a rock star, when I would say “we want to do this”, David and Robert said “whatever you need”. Everyone felt comfortable with David and Robert- they weren’t just our drivers, they became part of our party-which made it very special! Johnny B Limo will always be my first call, and I hope they are available on the dates we will need them for our wedding events because I know I will get the best service out there! THANK YOU ROBERT, DAVID AND JOHNNY B LIMO SERVICE!!! 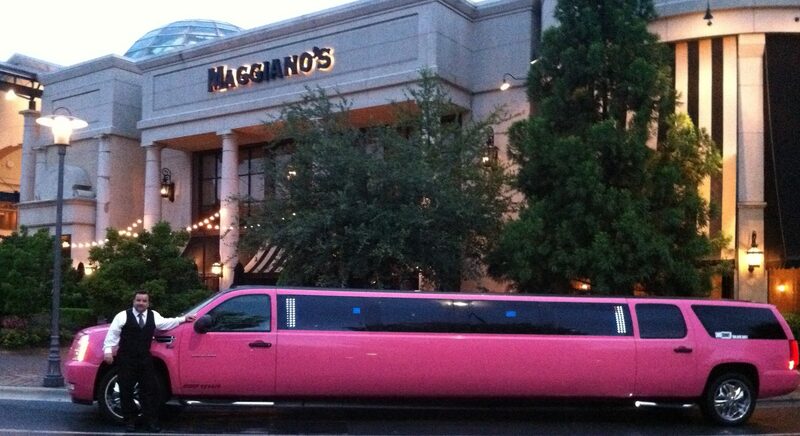 We had our son’s birthday party in the Camo Limo…oh my word!!! He had the BEST time ever!!! 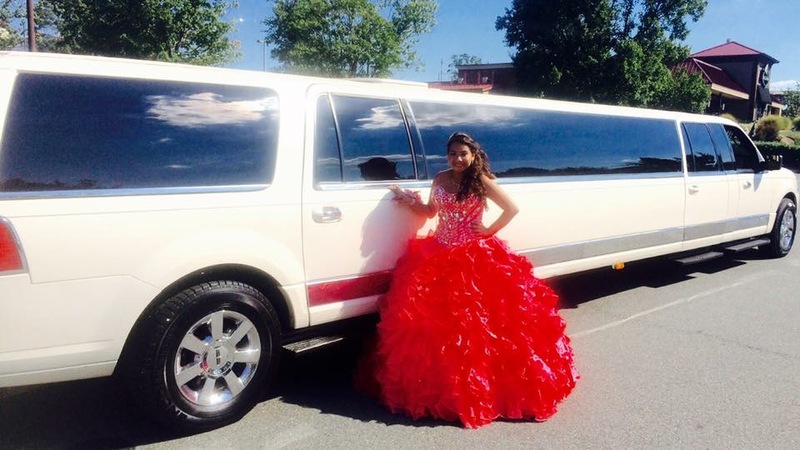 Johnny B’s Limo is the MOST professional transportation service provider you will ever use. They made us feel comfortable knowing that they were able to ensure the party had a great, but yet safe experience! We HIGHLY recommend them and will most definitely be using their services in the future! Family run business, great service, beautiful cars, professional drivers. Did an unbelievable job for my daughter’s Senior Prom. Wouldn’t think of calling anyone else. Great cars, professional service! Top notch limousine service from the moment they picked us up and took us home!